Looking for Hunter Road Force Balancer locations in North Vancouver? Come to Taylomotive for Hunter Road Force Balancer and get precision diagnostic wheel balancing. 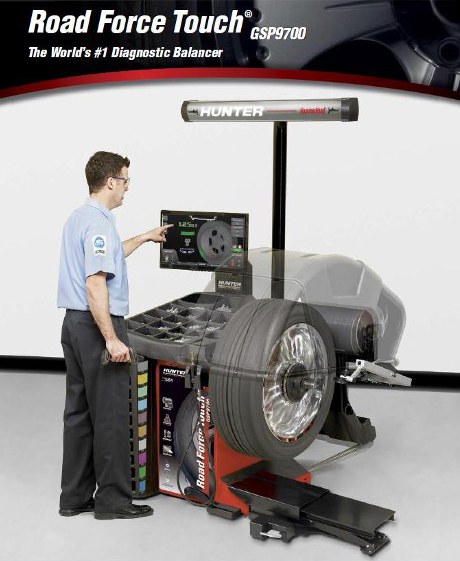 The Hunter Road Force Diagnostic Balancer is one of the top machines for profesional wheel balancing in the industry. Each year the editors at MOTOR Magazine select the 20 latest and greatest products of the world’s automotive tool designers, manufacturers and suppliers that are truly new and innovative. The Hunter Road Force diagnostic balancer has received fourteen Top 20 Tool awards in the 20 years of the award's existence. The Road Force Touch wheel balancer delivers exceptional balancing service and performs a road Force and balance solves wheel vibration problems that traditional wheel balancers can't fix.